There are quite a few very good media channels in France but unfortunately for many you’ll need to get a French IP address to watch them. One of my favorites is called M6 Replay and I used to watch it with my son to help with his (and my French), simply because they’d dub a lot of popular US shows into French – so you could change IP to France and watch the Simpsons and pick up some new vocabulary. However first we had to figure out how to access the programmes because if you tried to watch any of the shows from outside France then you’d get blocked just after the adverts. The first important point is that the majority of internet filtering is usually based on your IP address. This is the unique network number which is assigned to you whenever you connect to the internet, it can be assigned to a computer, tablet, smartphone or TV – if you’re online you have an IP address. Furthermore all these addresses are assigned in blocks to different countries, here’s an idea of the numbers – IPv4 addresses by Countries. 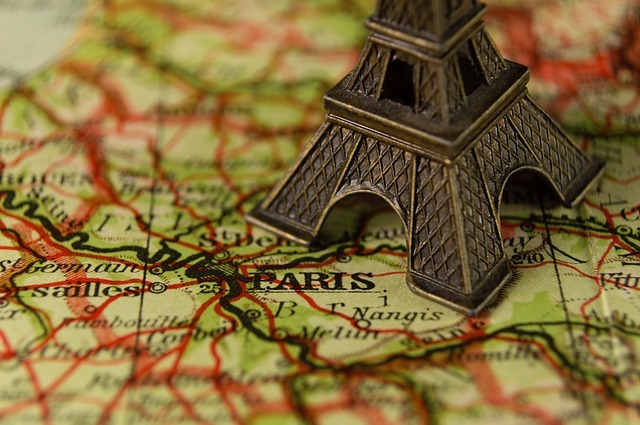 The address you’re assigned will match the country you are in – connect from a French cafe Wifi, you will be assigned an IP address for France. So on to the filtering, remember any website can look up which country your address is assigned to. You can’t stop this unless you happen to own an ISP and assign yourself a specific address. Every big organisation, particularly media sites want to know exactly where you are connecting from and they do that from your IP address. They want information about you, and classifying people by location/country is one of the easiest options. The reason is that like all the internet’s big media sites, their content is normally restricted to the country of broadcast. So M6 Replay was not available unless you connected through a French ISP and had an IP address originating from France. However fortunately you can change IP to France by by connecting first through a French proxy or VPN server. It’s relatively easy to do and if you use the product demonstrated you can even disconnect after the show has started streaming because the check is only at the beginning. However if you restart or switch to another broadcast then the web site will check for that French IP address again, so often it’s easier to keep the connection on. Remember your real address doesn’t change you are merely hiding it by routing all your traffic through an intermediate server. Simply pick the country you need such as a French vpn server and you’ll have an IP address from that country – choose UK for watching the BBC online for example. Remember though all your web experience will be affected by this address. For example if you start Google with a French IP address you’ll be redirected to the Google.FR and will receive French based search results. It’s not just the media sites which check your location the search engines do too, browse with French IP and you’ll be treated as a French web user. The filtering practice is known as geo-targeting or geo-locking and it’s growing extensively. There aren’t many major sites which don’t check your location now and then customise what you can see (or more often not see) depending on that location. Sometimes this practice is quite useful, for example – the search engines check your location too before listing results, to ensure your search results are localised. Usually it’s done to block and filter access though, and big media sites like Netflix use it to lock you into a region specific version (usually with different prices). So if you start Netflix from the UK you’ll get a UK version, use a US IP address and you’ll see a USA version and so on. Having control of your address means that you can bypass all these locks and filters, and there’s another benefit too. Whilst the VPN france online connection is enabled, all your information is encrypted meaning that no-one has access to your personal data. This is essential when using unfamiliar wifi connections, especially if you do things like online banking or checking your email. Using a tool like Identity Cloaker you can actually get access to all versions just by switching your location. So if you want to access French Netflix simply route your connection through one of the French servers and your French IP address will allow you access.